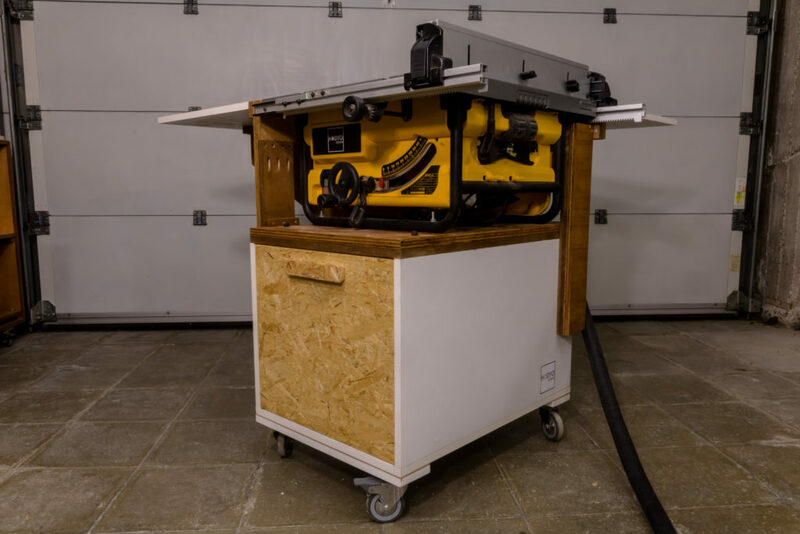 When I set up my first workshop last year, I quickly realized that using my Dewalt DW745 table saw on the floor was far form ideal, so I quickly built a mobile stand for it, so that I can use the table saw more easily, and then store it along a wall once I’m done with it! 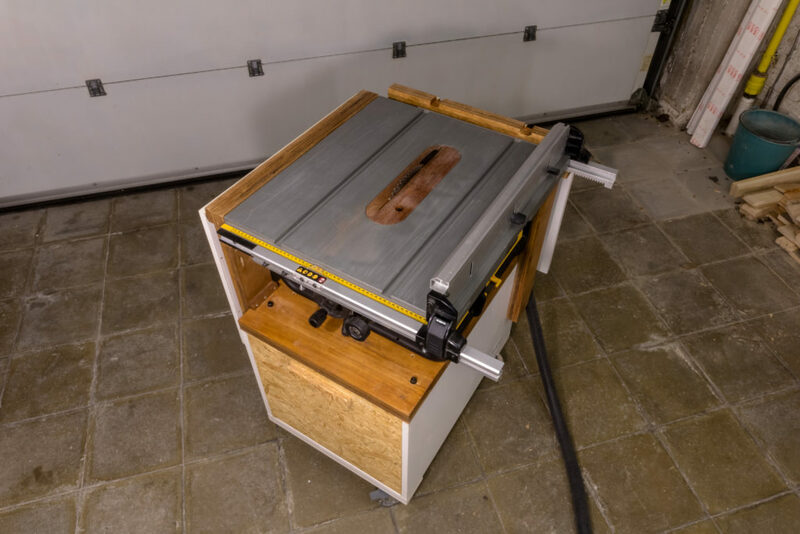 I built this mobile table saw stand with no plan, as usual, and I made a couple mistakes along the way! 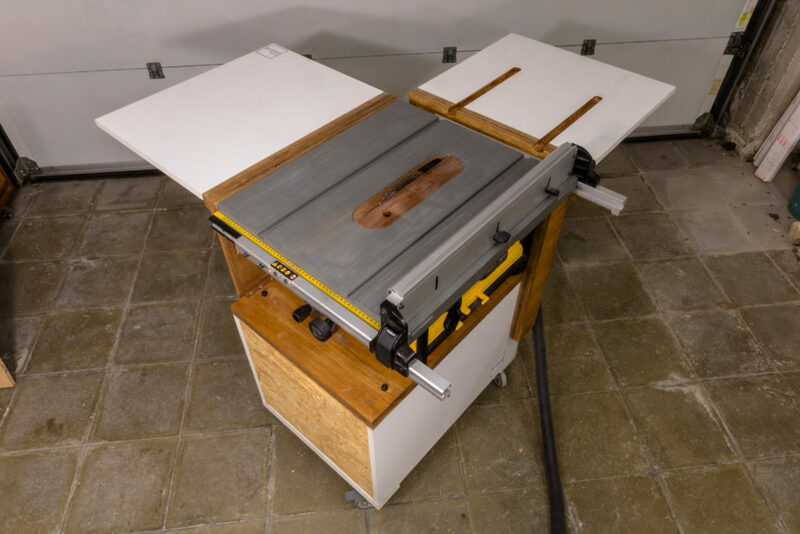 Since then, I moved my workshop to a much bigger space, but as I don’t plan to replace my table saw anytime soon, I decided to fix the stand and make it right! 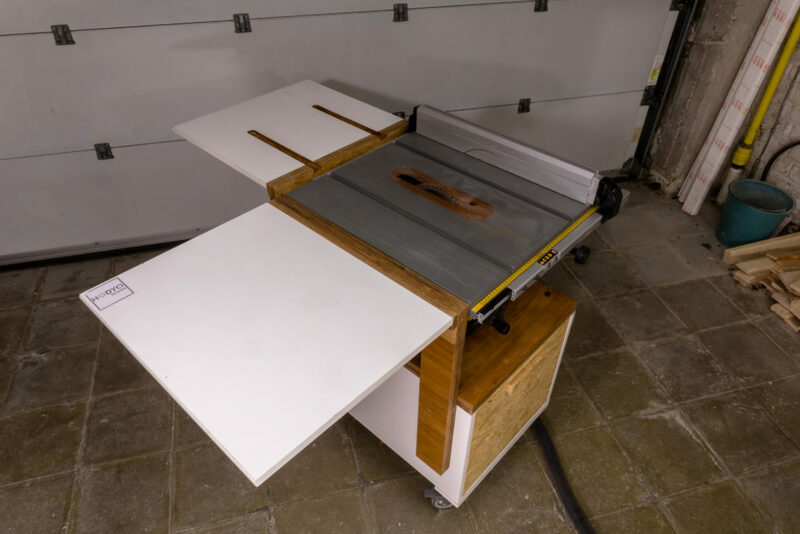 In this video, I won’t show you how I built this mobile stand, but how I fixed it (which hopefully will provide some inspiration to build your own)! 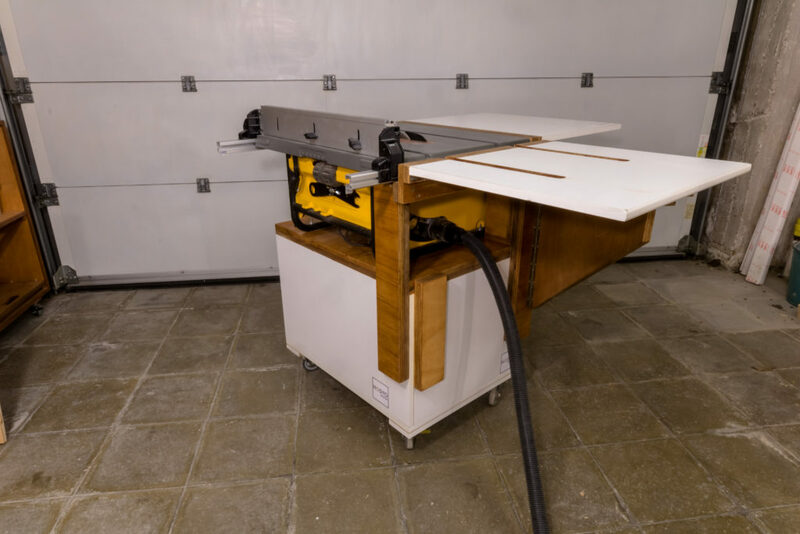 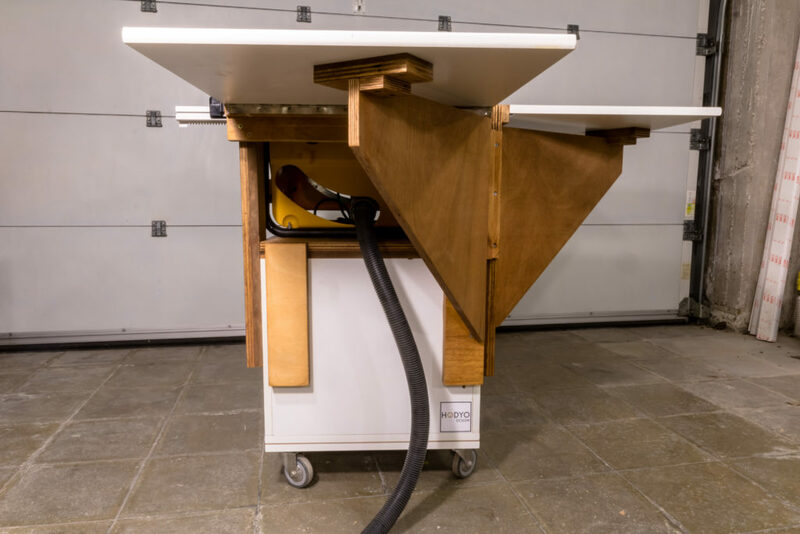 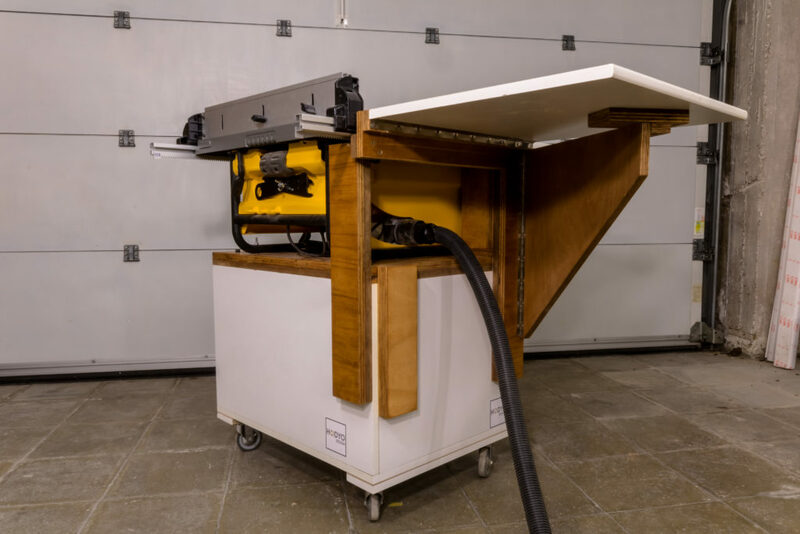 The stand features a folding outfeed table and a left folding extention wing. 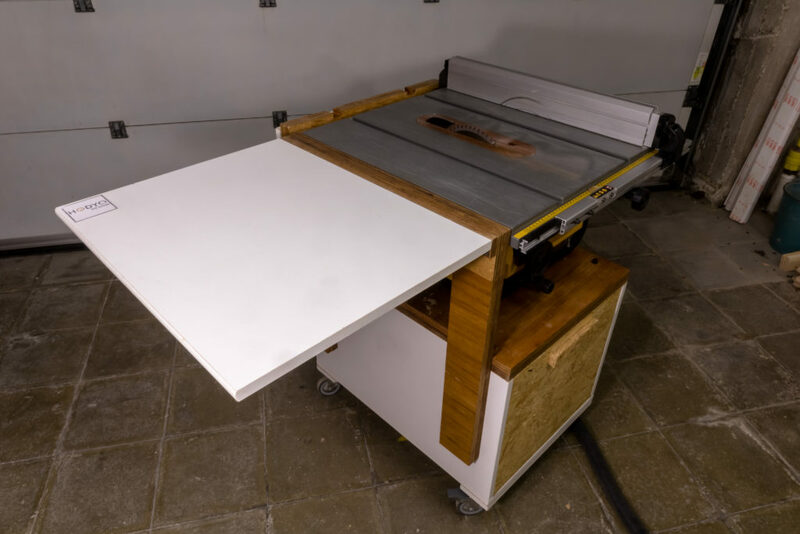 It is only 9 cm (3 1/2″) wider and deeper than the top of the table saw (with both wing and outfeed table folded), making it perfect for amy maker who has to deal with a small workshop! 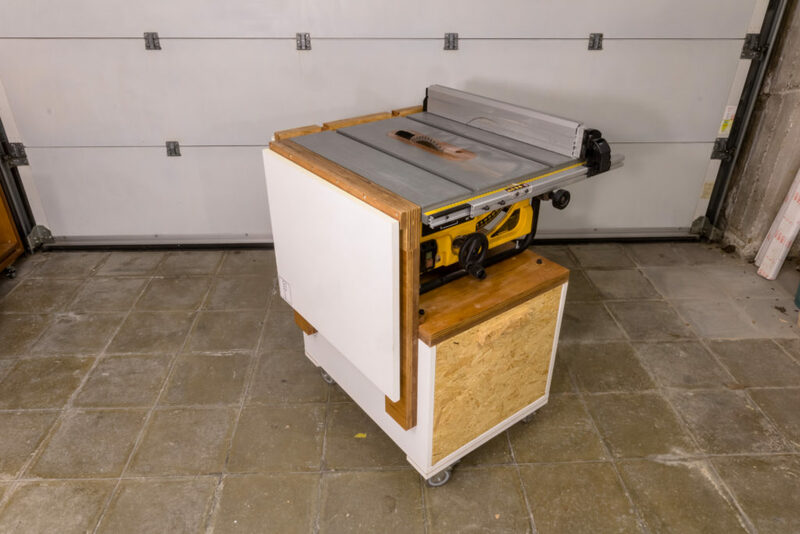 It was entirely made from scrap plywood and melamine boards. 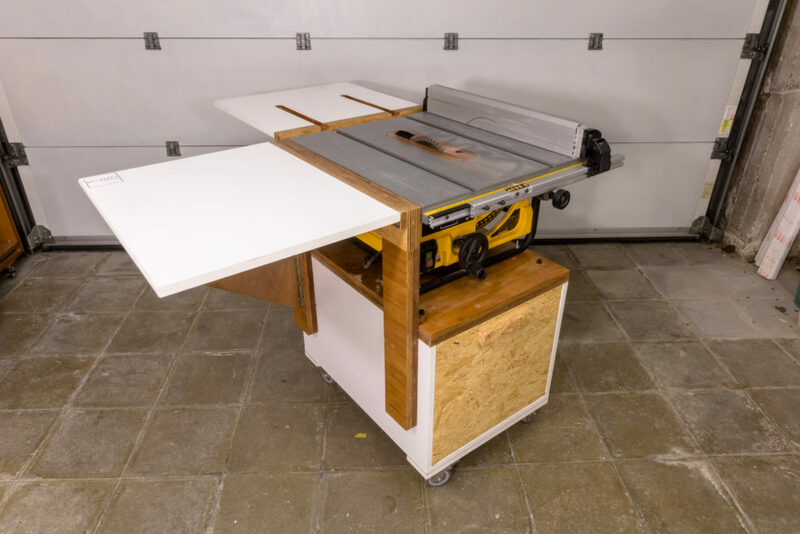 And if I’m not very proud of how I built it (I’m not a woodworker), I’m actually really proud of how it eventually turned out!